The Duke and Duchess of Cambridge made a glamorous appearance at the London BAFTA awards and looked stunning! The Duchess wore a white grecian-style dress and debuted a pair of Princess Diana’s favorite pearl earrings, last seen over 20 years ago! 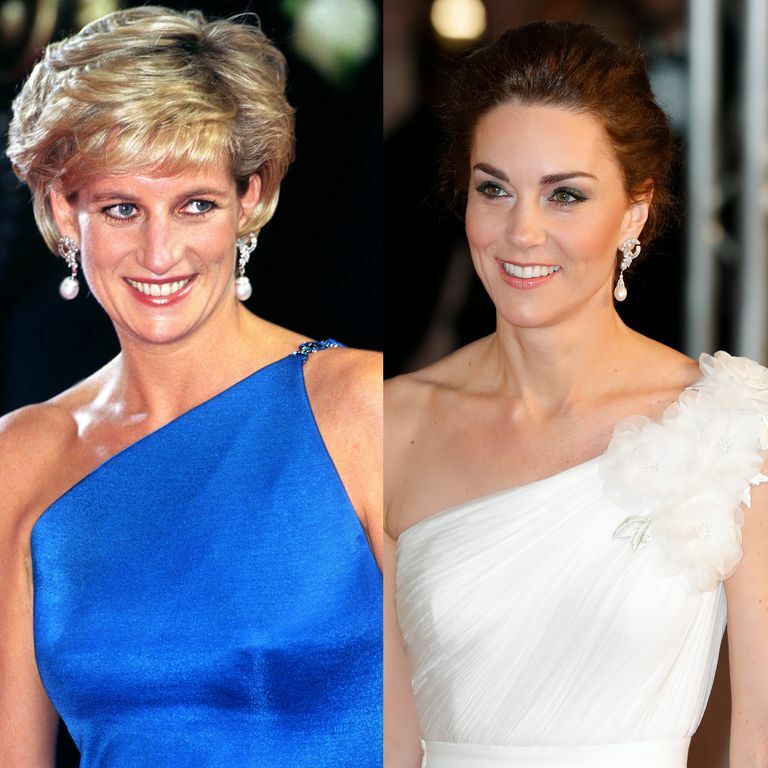 The elegant earrings are from Diana’s personal collection and feature a circular design of diamonds and a single diamond-encrusted pearl and were worn by Diana several times in the 1990’s. The last time she wore them was at the Royal Albert Hall in 1997.